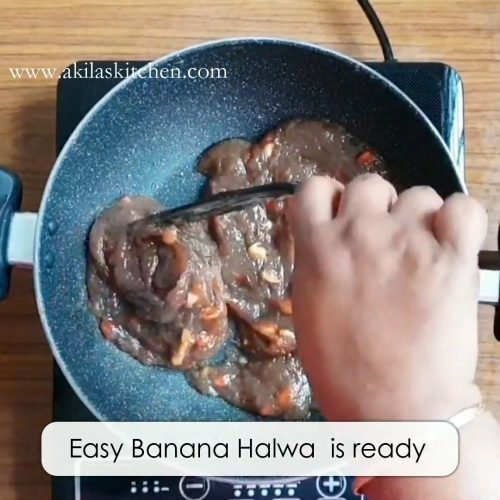 Banana Halwa Recipe with a video and easy step by step instructions for your easy understanding and learning. 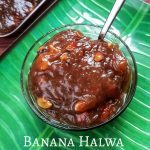 Banana Halwa is a tasty dessert which can be easily prepared with just three main ingredients – Banana, sugar and ghee. In this Banana halwa i have added corn flour also to give the halwa a very glossy texture. But adding corn flour is purely optional and is not added in the tradiona recipe of preparing the banana halwa. 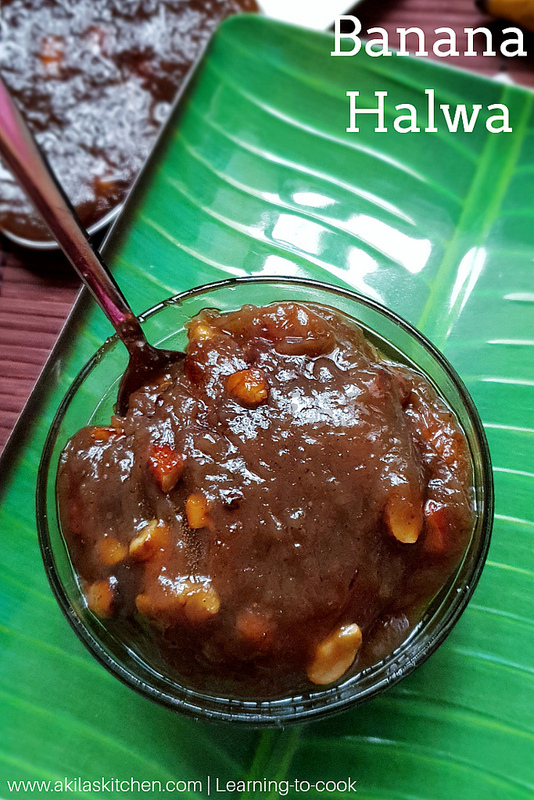 Mainly, banana halwa is prepared with a type of banana called Nendram banana. 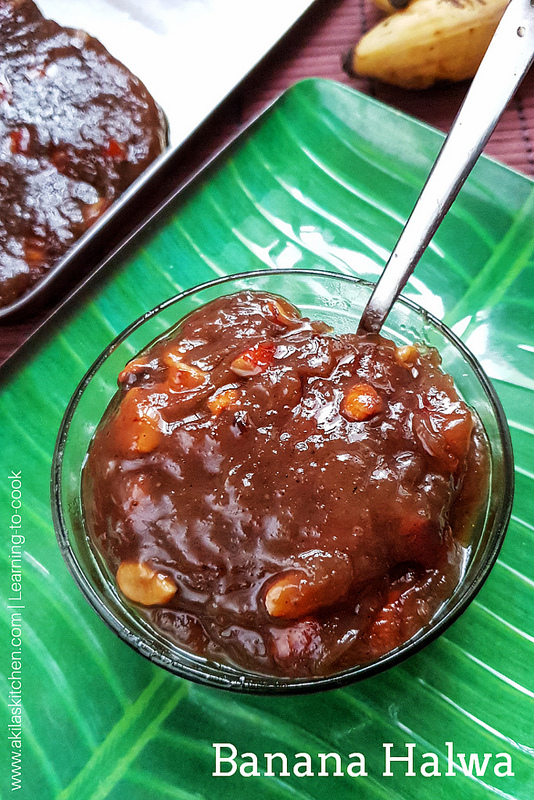 This Nendram banana halwa is authentic to Kerala cuisine and is very famous in kerala. But today I prepared with poovam banana or poovan type banana as i had lot of this type of banana at home. Though preparing this halwa is time consuming, the end result is awesome. So friends do try this Halwa and let menknow how it has turned out for you. 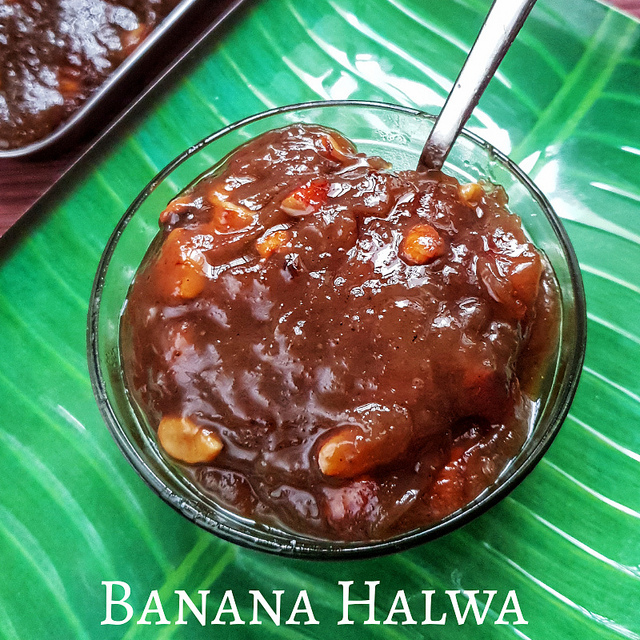 Banana Halwa is a tasty dessert which can be easily prepared with just three main ingredients - Banana, sugar and ghee. In this Banana halwa i have added corn flour also to give the halwa a very glossy texture. But adding corn flour is purely optional and is not added in the tradiona recipe of preparing the banana halwa. 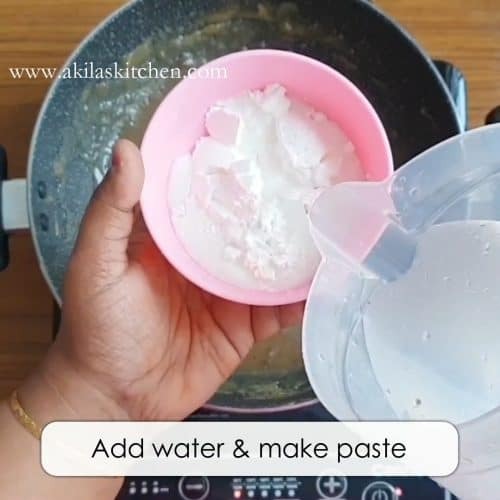 Make them to a paste in a food processor or mixie jar. 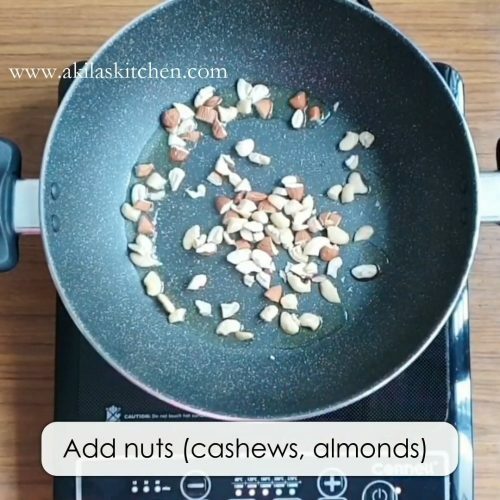 In a heavy bottomed pan, add 1 tsp ghee and fry the nuts. 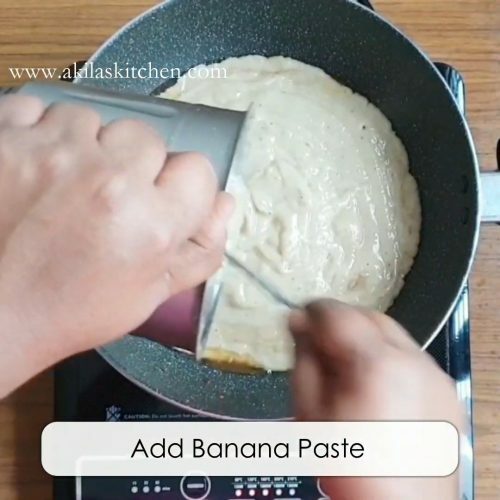 In the same pan, add the banana paste and keep stirring. After about 12 min, it starts to thicken. Now add the sugar, 1/2 cup first. 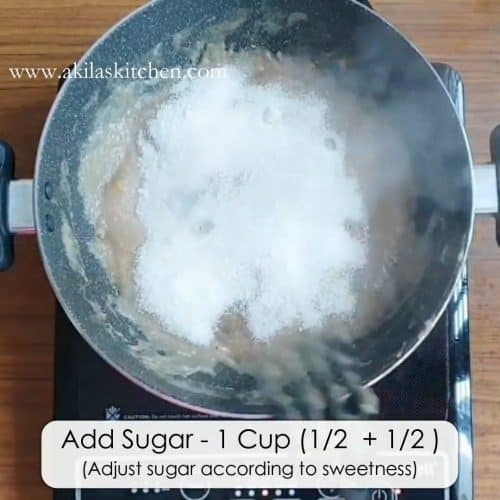 Check for the sweetness first and then add the remaining sugar. Let all the dissolve nicely. 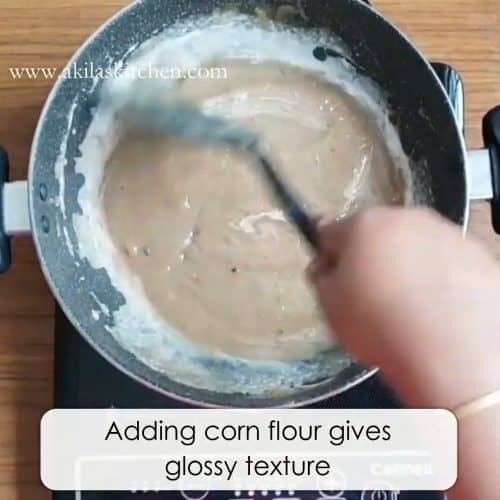 Now add little water to cornflour and make it a paste. 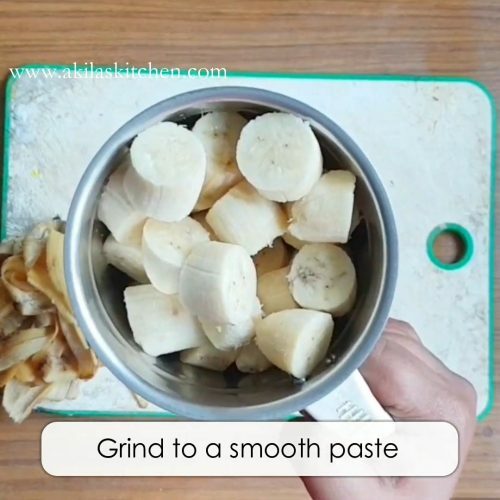 Add this paste to the halwa. 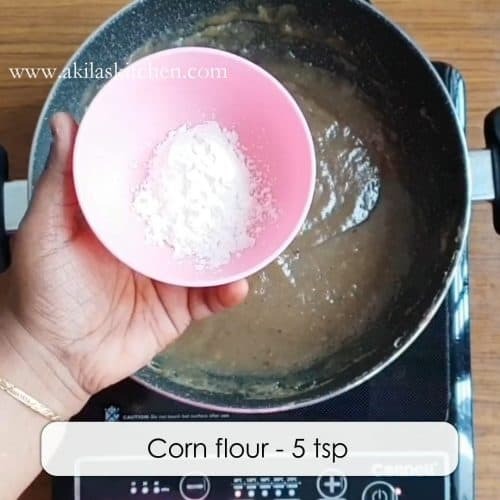 Once you have added the corn flour mixture, do not stop stirring the halwa. The halwa loosens first and then starts to thicken. Now add ghee 1 tbsp at time. Add 4 to 5 tbsp of fhee at equal intervals of 3 to 5 min. At one stage, the ghee starts to ooze out from the halwa. Turn off the stove and serve the tasty banana hakwa hot. Or transfer to a plate greased with ghee, allow to cool down and cut into squares and then serve. 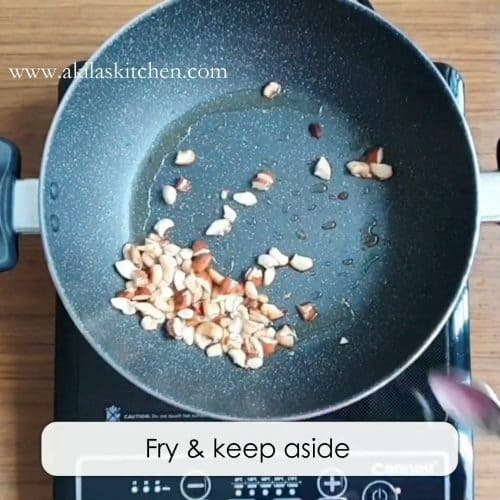 In a heavy bottomed pan, add 1 tsp ghee and fry the nuts. Keep them aside. Let all the sugar dissolve nicely and completely. Now add little water to cornflour and make it a paste. Add this paste to the halwa. 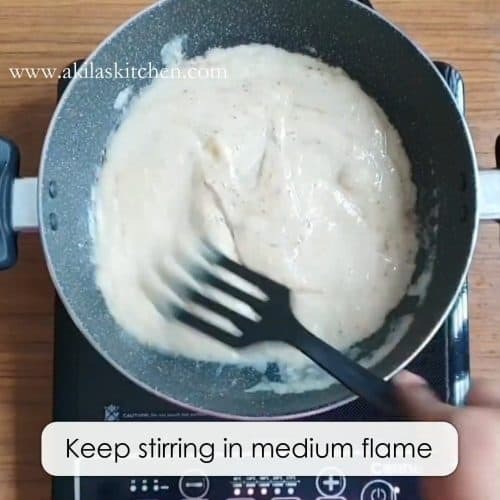 Kepp stirring the halwa in medium flame. The halwa loosens first and then starts to thicken. 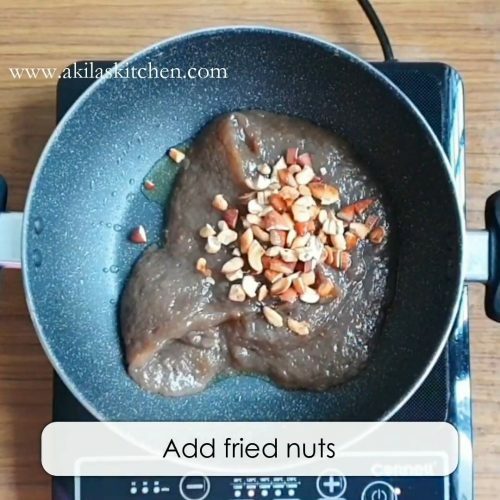 Now add tge fried nuts and give a stir. Here i dont have that much patience, and so i served to serve it hot. Tasty and delicious Banana Halwa is ready. 1. *First add 1/2 cup sugar and check for sweetness. If it suits your taste, then no need to add the other 1/2 cup. Try adjusting according to your tastebuds. 2. 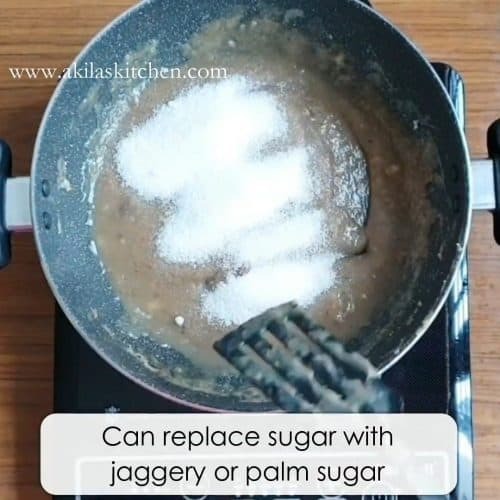 Also sugar can be replaced with palm sugar, jaggery, karupatti etc. 3. Since I didnt get, Nendram pazham, I tried the halwa with poovam pazham. 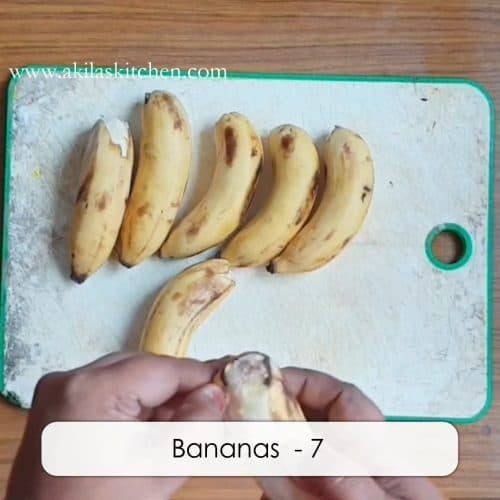 You can try with other variety of bananas also. 4. 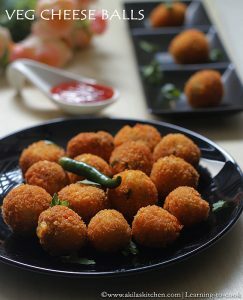 You can add little cardamom powder or banana essence to give it more flavour.